Yale University Press, 9780300119893, 384pp. 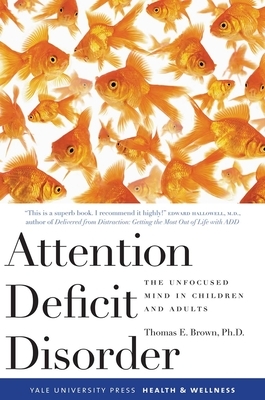 This is the first book to address the perplexing question about ADD: how can individuals, some very bright, be chronically unable to “pay attention,” yet be able to focus very well on specific tasks that strongly interest them? Dr. Brown disputes the “willpower” explanation and explains how inherited malfunctions of the brain’s management system prevent some people from being able to deal adequately with challenging tasks of childhood, adolescence, and adulthood. His book is an authoritative and practical guide for physicians and psychologists, parents and teachers, and the 7 to 9 percent of persons who suffer from ADD/ADHD.